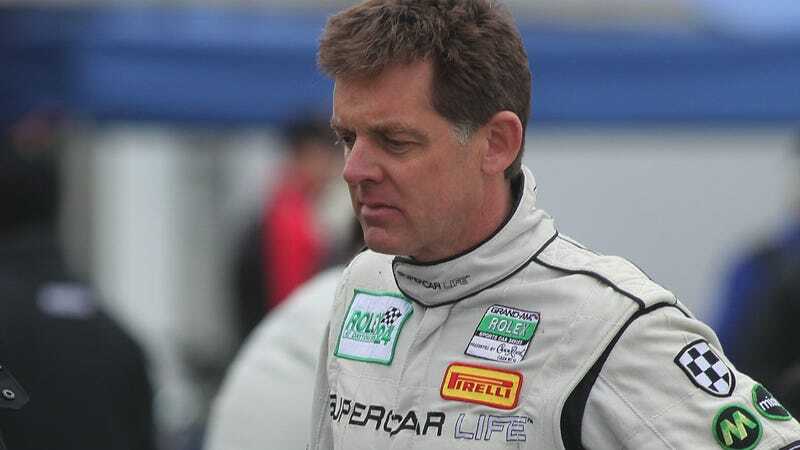 Former American Le Mans Series champion Scott Tucker was sentenced to 16 years and 8 months in prison for illegal payday lending practices, reports The Kansas City Star. The $2 billion lending enterprise funded Tucker’s lavish lifestyle, which included racing an Audi LMP1 at Le Mans as well as his Level 5 Motorsports team based in America. Judge Kevin Castel of the U.S. District Court for the Southern District of New York handed down the ruling Friday. Tucker was immediately taken into custody afterwards, as the judge cited concerns about Tucker’s mental health and the possibility of self-harm, reports Bloomberg. Tucker was convicted in a five-week jury trial of 14 criminal counts related to federal truth in lending and racketeering violations. Tucker was one of the first payday lenders to operate online, offering high interest loans to consumers who often had poor credit histories and couldn’t get loans anywhere else. Interest rates for Tucker’s online sites were far more than state lending laws would allow—between 400 and 700 percent. Additionally, customers were deceived when interest automatically deducted from the balance of the loans, thus allowing the loan to renew on the customer’s next payday. Tucker argued that his operation was based on tribal lands where the usual laws governing such enterprises didn’t apply, and claimed that he employed as many as 10,000 people when asking for leniency in his sentencing., The Kansas City Star reports. However, it was obvious to the feds that Tucker’s scheme allowed him to enrich himself by preying on the desperation of America’s poor. The government also claims that tribes involved with the scheme only received one percent of the revenue, according to Bloomberg. Federal prosecutors said that Tucker exploited 4.5 million customers through his lending schemes. The final ruling was less than the 20 years of prison time federal prosecutors argued for, as they claimed that they have “every reason to believe he will again defraud others as soon as he has a chance to do so.” However, it was still more than the maximum of 15 years Tucker’s defense had wanted. This is Tucker’s second prison sentence. He previously served a year in jail for bank fraud and was released in 1992. Although I saw myself as being an entrepreneur, a jobs provider, and a contributor to the American economy, I’ve learned that others view me through a different lens. I am very sorry that our leaders castigate me as a villain, or some type of predator. That sounds like an awfully fancy way of saying “I only regret getting in trouble for this.” Judge Castel told Reuters that Tucker’s letter indicated that he had not accepted that his actions were against the law. “The notion that Mr. Tucker is just an honest businessman doesn’t fly with me,” Castel said, as quoted by Reuters. This isn’t the the last of Tucker’s trouble with the law, either, according to The Kansas City Star. Last month, Tucker and attorney Brett Chapin were charged in Kansas for filing a false tax return that did not show $100 million in income from Tucker’s businesses. Tucker’s attorney and co-defendant in this criminal case Tim Muir was sentenced to seven years in prison Friday. However, Muir will report for prison at a later date. Restitution for the victims of Tucker and Muir’s scheme will be determined in February.